I did! I've knit two sweaters and a hat this way, and it gets easier every day. And guess what? It IS faster! Attend a big knitting event. I went to two knitting events in 2011, Vogue Knitting Live and TNNA in June. Go me! Put all my projects on Ravelry. On this goal, I sadly fell short. I did improve my Ravelry notebook though! Cheryl, aka Snuzy. May I present to you her 20 Sweaters of 2011!!!! She wants you all to know that she will be finished with more sweaters by 12/31. Stay tuned for an addendum. 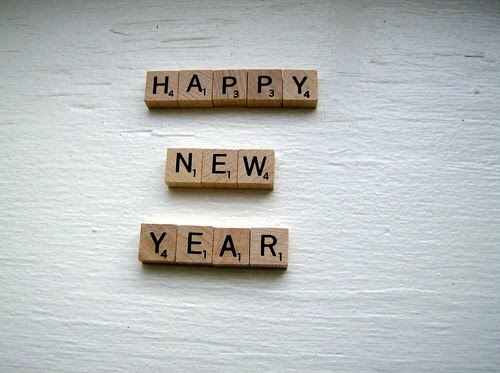 What are your knitting resolutions this year? We're finally settling into our new spot, and everything is falling into place quite nicely. 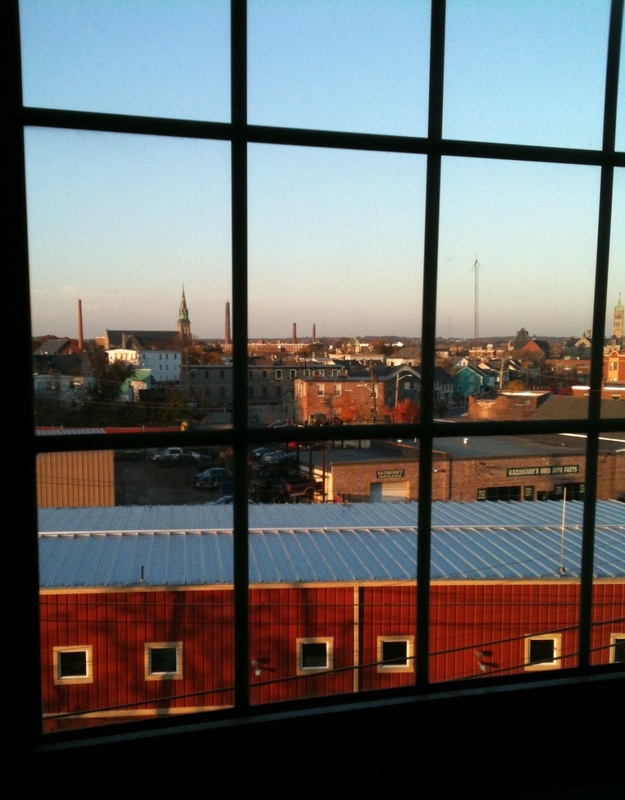 It's strange to move from an historic mill building, which has its pluses (character!) and its minuses (lots and lots of dust! ), and into a completely new spot. No more boxes on the floor! Yup, all this yarn had to be shelved. There were TONS of it. Literally. TNNA bound in just a few weeks, can you believe Spring yarns are coming soon? The crane we used to get mill equipment out of the giant doors. This crazy thing survived the move. A little bit of an anachronism in our new modern digs. My favorite part is my outlet, that sits at waist height in my office. Is that weird? I'd show you a picture, but it's really boring. A much more exciting addition, a forklift! Anyway, goodbye, Lowell!! 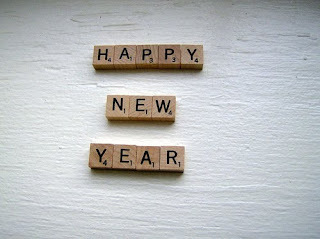 It's been grand! Even if I knit a sweater a month (ambitious!) I wouldn't make it through my queue of cold-weather sweaters until SEPTEMBER 2012! Sigh, I still couldn't resist casting on for a project from one of the new Winter knitting magazines. Given my current lust for angora, can you guess which one it is? See projects in Classic Elite yarns from new editions of all your favorite magazines here! Arm Warmers by Twinkle 1 hank of Twinkle Handknits/Baby Chunky in #81 Amethyst #28. Photo by Paul Amato. Textured Jacket by Pat Olski, sized for X-Small/Small, Medium, Large 15 (19,23) hanks of Vista from Mountain Top/Classic Elite Yarns in #6003 Ash. Photo by Paul Amato. Pan Am Jacket by Ashley Rao, Classic Elite Yarns Mountaintop Collection Crestone, #5103 smoke, 14 (16, 17, 19, 22) skeins. Photo by Carmel Zucker. Pointilist Hat by Nikki Wagner, Classic Elite Yarns Princess: #3409 proud peacock, 2 skeins. Photo by Harper Point Photography. Two Ribs Infinity Scarf by Susan Pierce Lawrence, Classic Elite Yarns Kumara: #5736 thistle down, 4 skeins. Photo by Harper Point Photography. Francisca Hat by Amanda Scheuzger, Classic Elite Yarns Lush, #4466 peach fuzz, 2 skeins. Photo by Brad Bartholomew. Oscillate by Amy Herzog, Classic Elite Yarns Lush: #4412 Banana, 7 (8, 8, 9, 10, 11, 11, 12, 13, 14) skeins. Photo by Jane Heller. Duplicity by Talitha Kuomi, Classic Elite Yarns Woodland, from the Verde Collection, 2 balls. Photo by Tracy Harris. 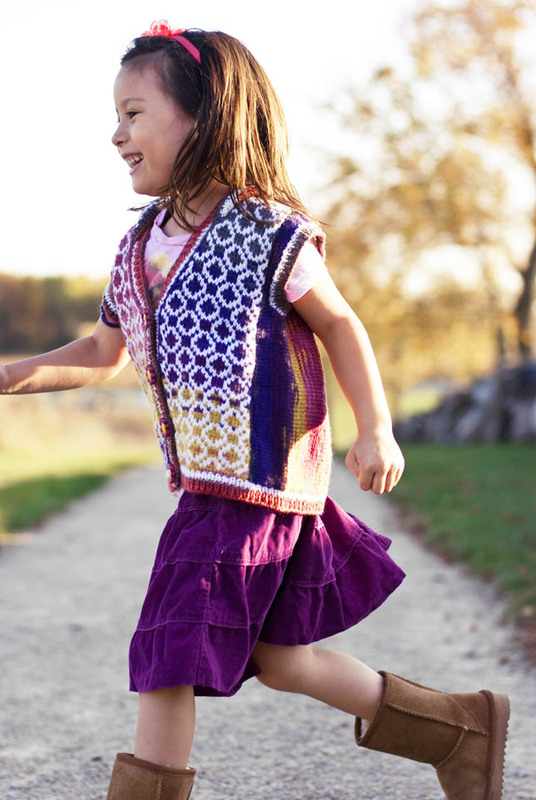 Jile Vest by Jean Clement of Desert Rose Designs, Classic Elite Yarns Liberty Wool Solid and Print. Photo by Tracy Harris. 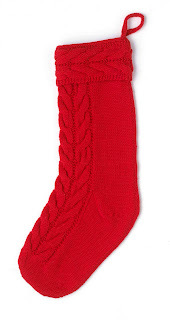 You Can STILL Knit This Stocking! And don't worry if it's not you. These stocking kits are available for purchase! 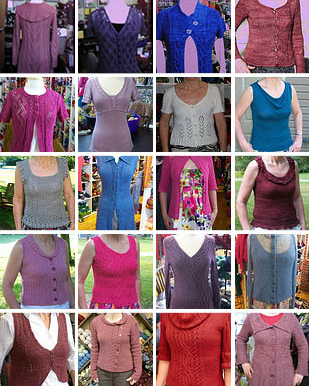 Just click any of the images in this post to buy one from an LYS near you. Or scroll down to see where you can buy them in person! You can buy stocking kits from the retailers listed below. We hope you and your beloved pet enjoy it! Email me at chelsea AT classiceliteyarns DOT com to claim your prize! 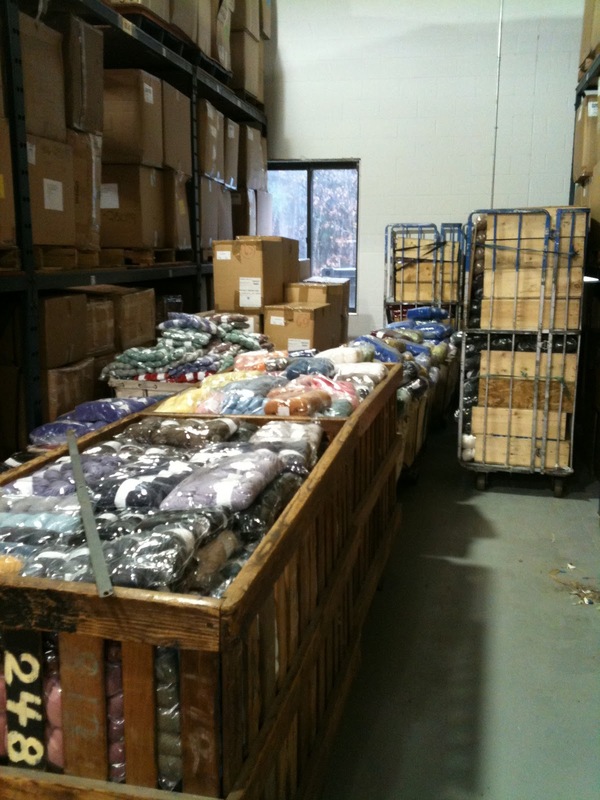 Many of you already know, but Classic Elite Yarns is now in North Billerica! After decades in Lowell, we picked up and went south. 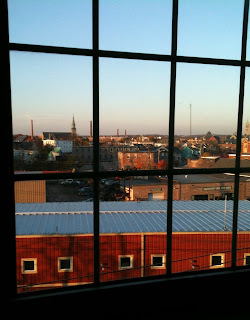 And having our workspace in an artists' building was pretty cool, and gave us lots of backdrops for good photography. A shot from the aptly named Artwork booklet, shot at the Western Ave. Studios. 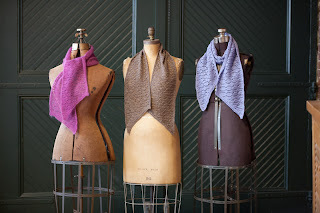 From the booklet Panache, a trio of scarves in front of an old mill door. But moving gave us an opportunity to regroup, to sift through decades of old stuff, and to evaluate what to keep and what we could let go of. And boy, was it a mess. All our office stuff had to go in these giant boxes on wheels. However, life must go on, in spite of ever-increasing disorganization. Oh wait, that was just what doesn't fit on the shelves. Where all our pattern books once lived. Heather cleared out this entire thing, and many others just like it. They always look so big when they're empty. And now we're finally settled in to a completely new office and warehouse space with shiny new floors, super-organized (for now) shelves packed with yarn and books, and, this is the best part, a FORKLIFT. More pictures of our new space to come! 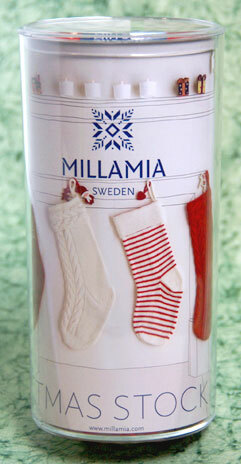 MillaMia Stocking Kits, just in time! 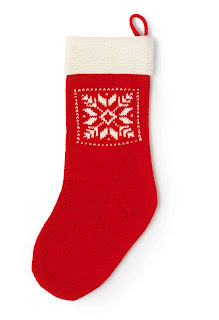 Have you knit a Christmas stocking yet? Christmas stockings have long been on my to-do list, and we may have found the perfect pattern from MillaMia, a line of yarns and patterns based in England. Scroll down for a holiday giveaway! 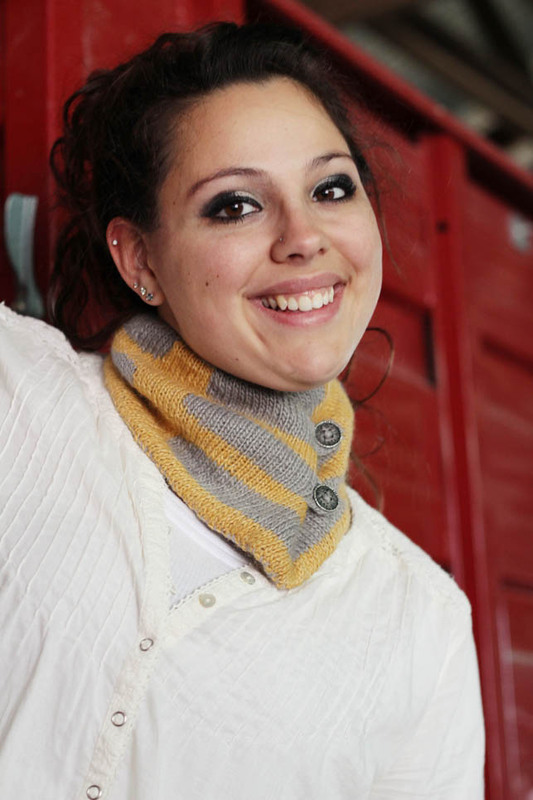 MillaMia is an established European brand that is now being distributed by Classic Elite Yarns here in the States. Founded and operated by two sisters who spent their childhood summers in Sweden, MillaMia's style is distinctive and contemporary. 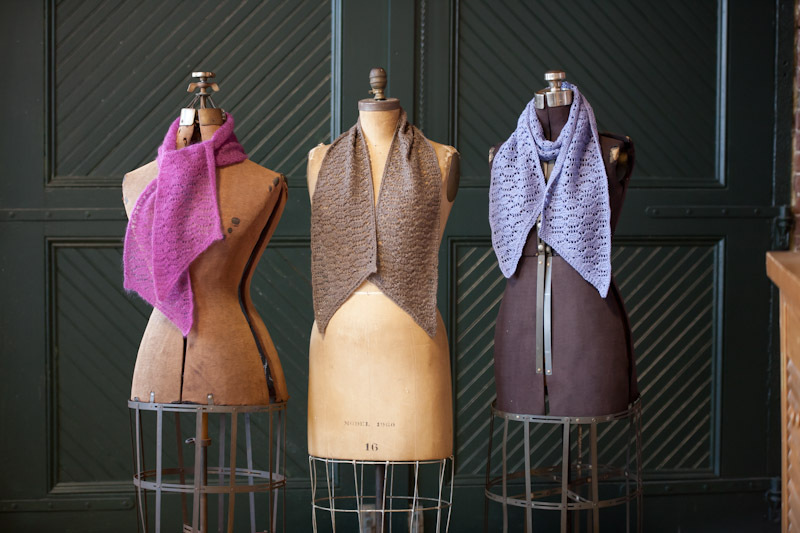 Their products include Naturally Soft Merino, a 100% extrafine Merino machine-washable sportweight yarn in 17 colors, a collection of beautifully styled patterns for children, and cushion and stocking kits for the holidays. You can find their entire range of products here in the States beginning in January 2012, but stocking kits are available now! Kits include the Candy Cane (4 balls of yarn plus the pattern), Cables (3 balls of yarn plus the pattern) and lastly the Nordic Star (3 balls of yarn plus the pattern). Though pictured above in Scarlet, these kits also come in Moss and Snow (red, green and white for the holidays!) You can buy stocking kits from the retailers listed below. If your shop isn't listed here, don't worry! Keep checking our website here for new retailers and ask for it at your LYS. We want to give one lucky reader in the United States a chance to experience MillaMia and Naturally Soft Merino this holiday season. 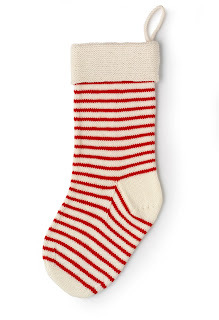 We're giving away one stocking kit of your choice! You'll be hooked. Just comment here and let us know how you prepare your home for the holidays. Be sure to include a way to reach you, either through Ravelry or email so we can notify you if you win! We will choose a winner on December 8th at noon. Comment away!